Once you've read Road to Solo Driving handbook and know the content, it's time to test your knowledge using the practice learners test VIC! This practice test pulls random questions from their question bank and simulates the real 32-question Learner Permit Knowledge Test. Remember, you need to get at least 25 out of 32! Feel free to bookmark this page so you can access the learners practice test VIC right up until they call your name at the testing facility. You can take the VicRoads practice test in both feedback and practice modes. After answering a question in feedback mode, you are given feedback on whether you provided the correct or incorrect answer. You are also provided with a link to the relevant section of the Road to Solo Driving. This means you are better able to learn from any mistakes you may make as you can solidify your understanding using information in the handbook. When you first begin practicing for the Learner Permit Knowledge Test, it is recommended you use the feedback mode so you understand your progress and identify potential areas of weakness you may need to revise. In practice mode, you more realistically simulate the real Learner Permit Knowledge Test. You do not receive any feedback until the end of the test when you are told if you have passed or failed (which will be the case when you sit the actual test). In the lead up to sitting the test, you should be preparing using practice mode rather than feedback mode. By this time you should be getting 100% regularly and will benefit more from experiencing the test under conditions as close as possible to the real thing. Hand-Over-Hand or Pull-Push - Which Steering Technique is Best? 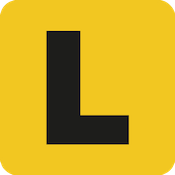 An online resource to help prepare you for the driving tests in Victoria. Preparing for the Drive Test? Driving Test VIC can help!